Pic Your Memories: sign up for November Classes before October 15th! sign up for November Classes before October 15th! There are only 3 spots left for the Christmas Card Class, don't be disappointed as they are beautiful cards! I have 6 spots left in the Event Calendar class - this would make a perfect Christmas gift for a grandmother! 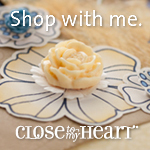 I will be placing a Close to My Heart Product order on October 16th, just e-mail me if you need some supplies! Happy Thanksgiving everyone - take lots of family photos!